When Arrigo Sacchi came on the scene in 1987 with AC Milan he was credited with breaking down the catenaccio culture and bringing a more attack minded approach to the Italian game. Many attributed his employment of zonal marking over the man-to-man marking as the reason for a more attacking game. Years later, Giovanni Trappatoni, insisted that the Public had bought ‘hook, line and sinker’ the notion that zonal marking equaled attacking football. He asked observers to compare the years 1987 through 1991, when both managers were managing the Milanese clubs of AC Milan and Internazionale Milano. He argued that statistics show that his Inter scored more goals and conceded more goals during this period, despite employing man to man marking. We could also discuss Sacchis’ reign as Italy national team manager with his tactics. Franz Beckenbauer started his final phase as Manager by adding a few touches to the fine squad of the 1988 Euros. Gone was goalkeeper Eike Immel, who would not accept to be understudy to the new number one goalkeeper, the young Bodo Illgner. Matthias Herget was also ultimately replaced by veteran Bayern Munich Captain Klaus Aughentaler, who earned a recall in the Fall of 1989 after a 3-year absence. Olaf Thon, despite joining Bayern Munich, had not stepped up the occasion during the Euros and this enabled the inclusion of Koln’s Thomas Haessler, who became a mainstay of the National Team following the 1988 Seoul Olympics. Werder Bremen striker Karl-Heinz Riedle also entered the fray to give competition to Jurgen Klinnsman alongside already established Rudi Völler. In fact Riedle scored a minute into his debut vs. Finland, after coming on for Dieter Eckstein, in the First World Cup qualifying match at the end of August 1988, that the Germans won 4 to 0. Holger Fach of Bayer Uerdingen also made his debut and played another four matches into the following year, but was eventually dropped. Lothar Matthaus and Andreas Brehme joined Italy’s Internazionale Milano in the summer of 1988 in a joint deal from Bayern Munich. They took to the Serie A with delight and took their game to a higher level by playing key roles in Inter’s first Scudetto in nearly a decade. For this first post-Euros season (1988/89), West Germany played many tight encounters in a difficult World Cup qualifying group. They were drawn with recent European Champions Holland, Wales and Finland. Following the relatively easy win vs. Finland, they played a Friendly in September vs. USSR that was billed as Oleg Blokhin’s farewell to the Soviet national team. With Haessler, Klinnsman, Riedle and Fach on duty with the Olympic squad in Seoul and Matthaus and Brehme unavailable, Beckenbauer presented a makeshift squad. Matthias Herget was recalled and played in his final match, as did Thomas Allofs, brother of Klaus and Leverkusen’s Herbert Waas. Bayer Leverkusen’s Knut Reinhardt also earned his first cap. Werder Bremen midfielder Günter Hermann also earned his debut, though he would only play one more time in a Friendly before the 1990 World Cup Finals. Borussia Dortmund’s young midfielder Andreas Möller also made his debut and he would go on to serve Germany well into the next decade. This experimental squad skippered by Littbarski in Matthaus’ absence, won by the narrowest of margins with an own goal. Following the Olympics, the West Germans faced their biggest test, by hosting the Dutch in a World Cup qualifier in Octobe at Munic’s Olympiastadion. The Germans in full strength were unable to breach the Dutch defense and the match ended in a scoreless tie. The talking point of the match was the Germans refusal to swap jerseys with the Dutch at the end of the match. This was in protest to Ronald Koeman’s disrespectful display with Olaf Thon’s exchanged jersey, at the conclusion of their Euro semifinal in the previous June, when he pretended to wipe his backside with the jersey. The Germans started the New Year (1989) by playing a Friendly vs. Bulgaria in Sofia in March. They won 2 to 1 with goals by Völler and Littbarski. This was followed by another difficult qualifier in April vs. the Dutch in Rotterdam. By now, Dortmund’s Möller was established in the National team set up and Riedle had temporarily supplanted Klinnsman as Völler’s striking partner. He headed West Germany’s goal midway through the second half vs. the Dutch that appeared to be the winner until Marco van Basten scored an equalizer in the closing minutes. Wolfgang Rolff played his Final match for West Germany by coming on with a quarter of an hour left. The Germans ended the season by playing another difficult qualifier at Cardiff vs. Wales. Alois Reinhardt of Leverkusen earned his first cap in a side captained by Völler in Matthaus’ suspension. The West Germans started the World Cup season (1989/90) by playing a Friendly at Dublin vs. Republic of Ireland in September. Due to the absence of the Italy based players, Beckenbauer selected another makeshift squad. The match ended in a one to one tie with Hans Dorfner, in a rare outing, scoring for West Germany. Dorfner’s Bayern teammate and goalkeeper Raimond Aumann earned his debut by coming on in the second half. Bayern Munich striker Ronald Wohlfarth also earned a recall, three years after his debut, though it would be his last. Holger Fach also played in his last match for West Germany. For their next qualifier in October, they demolished Finland by a score of 6 to 1 in Dortmund. By now, Jurgen Klinnsman had joined Matthaus and Brehme at Internazionale Milano in the Serie A and he celebrated his reclaimed starting position by scoring. Andreas Möller scored his first two goals for Germany and Littbarski, Völler and Matthaus with a penalty rounded out the scoring. Klaus Aughentaler was recalled as Libero to the National team and would remain until the end of the World Cup. Dortmund’s Frank Mill also earned a recall and Eintracht Frankfurt’s Uwe Bein made his debut. The Final World Cup qualifier was in November vs. Wales in Koln. Lothar Matthaus was absent and Littbarski captained the side in his home stadium with Dorfner, in his final match for West Germany, standing in for Matthaus. The match was played shortly a week after the Fall of the Berlin wall. The Germans had to win to qualify alongside the Dutch and the pressure was on. After going behind, the Germans equalized through Völler midway through the first half. Three minutes into the second half, Thomas Haessler scored West Germany’s winner with a brilliant first time volley and the Germans were through to the World Cup. West Germany entered the World Cup year (1990) knowing that Franz Beckenbauer would step down at the conclusion of the Tournament. 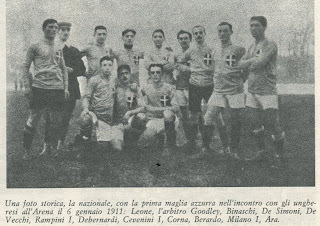 Their first match of the New Year was a Friendly in February vs. France in Montpellier that the Germans lost to 2 to 1. Andreas Möller scored Germany’s goal and Alois Reinhardt played his final match. In the weeks leading up to this match, Beckenbauer had attempted to recall veteran Klaus Allofs, in fine form at Bordeaux, as a cover option as a striker but Allofs turned him down. Their next Friendly was in April vs. Uruguay at Stuttgart. The match ended in a three to three tie with goals with Matthaus, Völler and Klinnsman scoring for West Germany. At the end of the European League season in May, Franz Beckenbuaer assembled a 27-man squad to be trimmed to 22 before the deadline for Finals squad selection. On May 14, 1990, Stefan Kuntz, Knut Reindhart, Hans Dorfner and Roland Grahammer were dropped from West Germany’s pre-selection squad. On May 16, 1990, Holger Fach had to pull out through injury and the Final 22 players were set. For its two final Friendlies prior to the World Cup, West Germany played vs. Czechoslovakia and Denmark in late May with matches ending in 1 to 0 wins. For the Denmark match, all the players who had made the World Cup Finals squad played along with two who made their debuts. These included third goalkeeper Andreas Köpke and Koln defender Paul Steiner, in his only appearance for West Germany. West Germany entered the World Cup in confident mood; the squad already contained five players (Matthaus, Brehme, Klinnsman (at Inter) and Berthold, Völler (at AS Roma) who played in the Serie A. Another two were due to join them next season, Haessler and Riedle had already signed for Juventus and Lazio respectively. 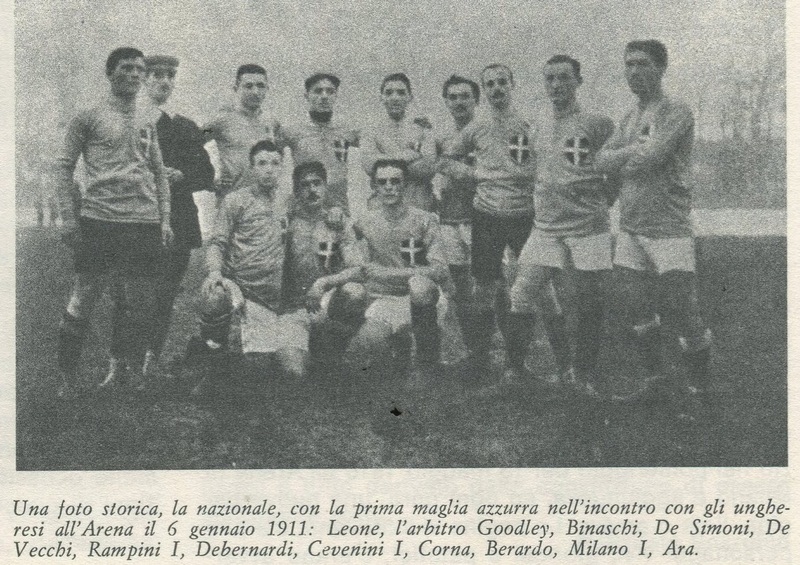 The West Germans were based in Milan, home to Matthaus, Brehme and Klinnsman’s club Internazionale. They demolished Yugoslavia and the United Arab Emirates by the scores of (4-1) and (5-1) respectively. Captain Lothar Matthaus stamped his authority by scoring three impressive long-range efforts in both matches. Strike partners Klinnsman and Völler scored in these matches as well. They rounded out the first round by tying Colombia one to one with an exciting last few minutes where both teams scored. The Germans were paired with rivals Holland in the second round. In a match mostly remembered for the Rijkaard / Völler spitting and sending off incident, West Germany defeated Holland 2 to 1 in an impressive display with goals by Klinnsman and an a beautiful long range goal from Brehme. In the quarterfinals, West Germany defeated Czechoslovakia with a penalty kick by Matthaus, in a comfortable match that they dominated and were rarely troubled. Their toughest match was perhaps in the Semifinals vs. England in Turin. Littbarski and Bein were carrying slight injuries, therefore Olaf Thon started in midfield, as Beckenbauer insisted that to face England players have to be one hundred percent fit. The Germans in Green uniforms scored first through a deflected free kick from Brehme in the second half. They seemed headed for victory when Gary Lineker snatched a late equalizer and the match went to extra time. The extra time remained scoreless and the match was to be decided by a penalty kick shoot-out. The West Germans showed their confidence by scoring in all their four attempts and earned a place in the Final vs. Diego Maradona’s Argentina on July 8, 1990. This marked the first time in World Cup history that the two previous Finalists were paired again in a Final. The West Germans despite dominating the entire match were unable to breach the Argentine defense intent on playing for a penalty kick shoot-out. With five minutes left, the Germans were awarded a controversial penalty kick after Völler was fouled by Roberto Sensini in the box. Andreas Brehme scored from the ensuing penalty kick and the West Germans were World Cup Champions for the third time in their history. Franz Beckenbauer became the First Player to win a World Cup as a Captain and Manager. He became only the second player to do so, after Brazil’s Mario Zagallo had achieved the feat in 1958 and 1970. Incidentally, both his first match as Manager in 1984 and this final match in 1990 were both vs. Argentina managed by Carlos Bilardo. He left the West German National team in a much better shape than he started. In six years he had built a very good team that could only get strengthened with the integration of former East German players with the impending re-unification on the horizon. Despite this World Cup victory, team Management was perhaps not his strong suit and he eyed Administrative Positions for his future. A few months later, he was tempted into Management by the persuasive Olympique Marseille President Bernard Tapie. He joined the team as the season was already underway and was unable to make any headway. After a number of negative results, he was moved upstairs as Technical Director at OM and eventually left at the end of the season. The following season (1991/92), with Bayern Munich in the middle of one of its worst seasons, he joined Bayern’s Board of Directors and eventually became Club President in 1994. Despite two temporary Coaching stints with Bayern in 1994 and 1996, he has remained in Administrative Positions and even become the DfB Vice President, as well as, chairing the organizational committee for the 2006 World Cup hosted in Germany.